Beauden Barrett scored the decisive final try in the last 10 minutes as Hurricanes completed a 34-28 win over Stormers in their Super Rugby encounter at Westpac Stadium. A dominating first half from Stormers proved enough as they edged out Sharks 11-16 in the third round of the Super Rugby 2019 season at Jonsson Kings Park on Saturday. Bulls have finished at the top of the South African Conference at the end of the opening round as they trounced Stormers 40-3 in their Super Rugby clash at Loftus Versfeld. Sharks failed to capitalise on the defeat of Jaguares as they suffered a 27-16 defeat to Stormers in their Super Rugby encounter at DHL Newlands on Saturday. Jaguares maintained their winning momentum as they defeat Stormers 25-14 in their Super Rugby clash at Estadio Jose Amalfitani on Saturday. The Sunwolves hosted the Stormers in a ‘hot, humid and sticky’ Hong Kong on Saturday afternoon. Hayden Parker kicked the decisive penalty goal in the closing minute as Sunwolves edged out Stormers 26-23 in their Super Rugby face-off at Mong Kok Stadium on Saturday. 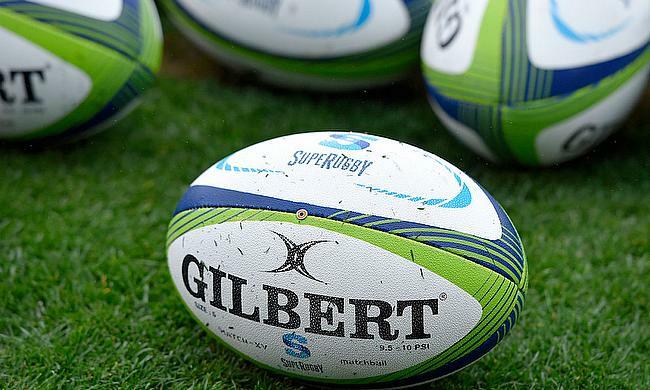 Stormers chances of making it to the play-off of the ongoing Super Rugby season were dealt a major blow as they were defeated 9-15 by Chiefs in Cape Town on Saturday. Stormers managed to end their three-game losing streak as they defeated Rebels 34-18 in their Super Rugby encounter in Cape Town on Friday. Sharks managed to return back to winning ways after edging out Stormers by 24-17 in their Super Rugby face-off in Durban on Saturday. Is Damian Willemse the best young flyhalf South Africa	has ever seen? Damian Willemse is a remarkable talent who has thrilled in the opening rounds of Super Rugby. Aaron Smith starred with a double as Highlanders sealed a 33-15 bonus point victory over Stormers in their Super Rugby encounter at Forsyth Barr Stadium on Thursday. Crusaders came up with a seven-try dominant performance as they went on to trounce Stormers 45-28 in their Super Rugby encounter at AMI Stadium on Saturday. Fly-half Damian Willemse kicked 13 points as Stormers kick-started their 2018 Super Rugby campaign with a 28-20 win over Jaguares at DHL Newlands on Saturday. Stormers managed to overcome stern resistance from Bulls as they completed a 33-41 win in their final round of Super Rugby 2017 season at Loftus Versfeld on Saturday.